A quick Moonwalk through the phases to show you the best time to do magickal/psychological work. This all fits in with farmers’ timings to plant and sow their produce, due to the Moon regulating how moisture rises to the surface. I will explore that in a lot more detail in future blogs. The Waxing Moon is when the Moon is on the increase. The beginning point would be the New Moon. It is not really increasing in size, that is an illusion but it seems to grow nightly as we look up at the sky. This is because it is becoming more and more visible to us. So, from the moment it is just a sliver of a crescent to the time that it is Full, it is in the waxing phase. So, logically as it is growing, it is a good time to begin any new projects or ventures or start anything that you would want to grow and increase in strength. You could start hunting for a new job, house, items and ideas for a personal project etc. The first three days after a New Moon are the most fortunate time to do workings for new beginnings, be they ventures, business plans or anything creative. The idea is that your new “seeds” should grow and become real by the time that the Moon is Full. The Full Moon signifies a time of fruition, accomplishment and achievement. The three days before the Full Moon is the powerful time for celebrating accomplishment. You could mark it with a celebratory meal or drink with friends or treat yourself to something you like. After the Full Moon if you look at the sky at night, the Moon will gradually become smaller and smaller until it appears like there is nothing left of it (again, this is an illusion) This period is called the Waning Moon. This is the time when the Moon affects the moisture which plants need to grow, in a negative way. It is gradually drawn away from the surface where things are planted. Therefore it is not a good time to grow things. So you do not start new projects at this time. On the contrary, you look at what you would like to decrease in your life and you start to remove it or its influence by banishing it. You could say ” I am going to rid myself of impatience, jealousy, sadness, all of those chores/ornaments that I have been meaning to clear” it is a good time to start getting rid of habits or addictions that are holding you back in life too. In short, anything that no longer serves you or has passed its sell by date for you. When the Moon has finished decreasing/waning there will be period where it will not be visible at all when we look at the sky. It will be a night with no light so this is aptly called the Dark Moon. So, we have looked at times when the Moon is increasing and established that this is when we start things and put plans into motion, those things that we want to be a bigger presence in our lives. 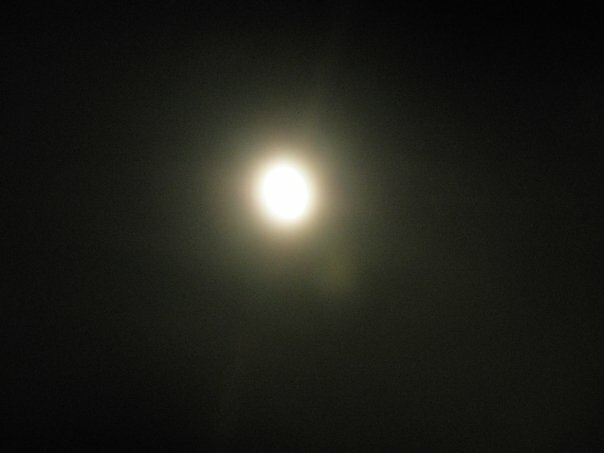 We know that the Full Moon means completion and is a time to celebrate that our work has resulted in what we intended. We know that after that, the Moon starts to wane as it becomes smaller and smaller and that this is the time to remove negativity, habits, those aspects of our lives that we want to be rid of. So what do we do when the Moon has vanished ? (or gives us the illusion that it has) A really good thing to do would be to sit quietly and have a really good think about what you would like to bring into your life during the coming New Moon phase. Think very deeply, be honest with yourself about how your life and plans are going. Be still and stop the chattering in your mind and see what comes to mind. You could get yourself a little special notebook to write your ideas down. Then when you start to work on your plans, you could write more in your book. Gradually you will build up a record of your workings and would be able to start to see what works for you and do a little experimenting at the various Moon phases. It would be fun to look back in a years time and see what has happened. You could use it to write your dreams down or at least little bits of them that seem to be significant. You are likely to be able to remember your dreams more when you are following the Moon/lunar phases. Your mind will give you ideas and hints at how to make your plans come to fruition. You could find that you begin to notice synchronicities in your life. You might be looking for a certain piece of information or object and someone may mention it etc. Note these down to. You will be enriching your life, making it more interesting and you will be giving your creativity and love for life a boost. If there is anything you would like to ask, just leave a comment below and I will get back to you. If you want to share any experiences about working with the Moon phases, please use the comment section for that too. I will write more about how the Moon moves through the zodiacal signs and how to use these energies to enhance particular projects. I hope that this is helpful and that your projects are successful and bring you joy. This entry was posted in Dreams, Language and The Unconscious, Magic and Quantum Physics Musings, Magickal Workings, SOW School Of Wyrdynamics and tagged Dark Moon, Full Moon, Magickal Working, meditation, New Moon, the unconscious, Waning Moon, Waxing Moon. Bookmark the permalink.